The best way to make a difference in your watershed is to get involved. There are many ways to join us from attending various events, volunteering at stream cleanups, getting engaged on Social Media or coming to committee meetings. Whatever you do, you are helping conserve and preserve our local rivers. Once a year, applications to join the committee are accepted. These are available during late fall and are reviewed in December. The committee is made up of various individuals from business, non-government organizations, academic, and general citizens. For more information, check out the Committee page. All of the Committee meetings are open to the public as public involvement is encouraged. Please check the calendar to the right for upcoming meetings. To view agendas and minutes of past meetings, check out the Committee Page. As the facilitating organization, Partners for Clean Streams performs various functions for the Committee. Among these are stream cleanups, public education and speaking to groups about the MAAC, hosting and running social media accounts, and publishing an electronic newsletter. 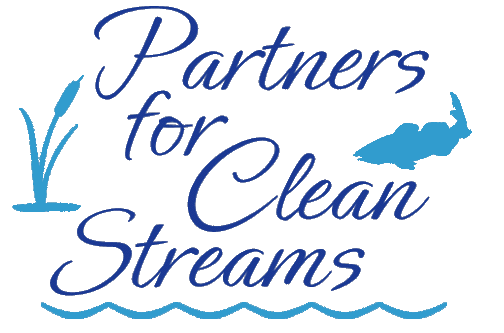 To learn about our stream cleanups, check out the Partners for Clean Streams Programs page. Follow the Facebook and Twitter feeds to stay up to date about programs and news around the area. You can also receive our electronic Newsletter by signing up on the form on the right.